This is a simple technique to stop that ratteling or shaking hopper. 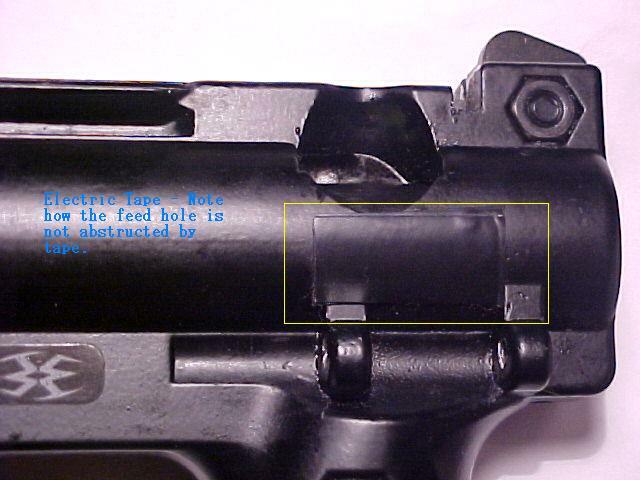 Simply place 3 pieces of electic tape under the feed hole and just above where your hopper pins slides in. Trim the tape so that the elbow covers it. Even without the elbow you have to look close, and if you have a silver tippy and are worried when your hopper is down people will notice, use scotch tape. Something to Cut and trim tape.